In France he is desired and in America he is wanted. Rajmund Roman Liebling was born on August 18, 1933 in Paris, France. His family moved to Poland in 1937. At the dawn of the second world war his family was moved to the Kraków Ghetto.He stayed alive by living in a farm where he had to sleep in a cow stall. One of his life-affirming motivation was to reunite with his family when the Nazi Germany would be defeated. Once the war ended he found out his mother and sister were killed in the Auschwitz concentration camp. He graduated from the Polish film school in Łódź in 1959. His international breakthrough masterpiece Knife in the Water (1962) was nominated for Best Foreign Language Film at the Academy Awards and was just re-released on dvd by the Criterion Collection. His films dealt with intelligent psychological horrors and alienation. Repulsion, Rosemary's Baby, Chinatown and The Tenant were popular in the art house film circuits. In 1969 his pregnant wife of the time Sharon Tate was murdered by followers of Charles Manson. It's not in my guy's DNA (to retire). ...Probably, his ambition is to die on the job. Sort of like an actor. Rooster (Al Pacino) and Turk (Rober De Niro) are New York City Police Department investigators hunting a vigilante killer. 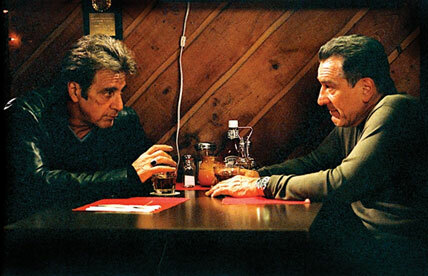 This is Pacino and De Niro latest collaboration film since Micheal Mann's police-thriller Heat in 1995. Their characters in the film are police officers that are trying to take down a noctorious drug dealer. The films principal emotion expressed is anger. Anger towards the judicial system, criminals and personal short coming. As you discover throughout the film one of the two buddy cops turn out to be a serial vigilante killing unpunished culprits. His amoral murders include a wide range of victims including children killers, pimps, rapists and sexually abusive priest. The film examines these murders from a distance and since the murderer is unknown the police force can only speculate over who is to blame for them. Guy Maddin's My Winnipeg will be the second non-fiction documentary to come to the Bytowne this month with Man on Wire that deals with personnel life defining moments. My Winnipeg is an exploration on Maddin's youth growing up in his home town of Winnipeg. Philippe Petit and his compatriot's recalls their memories of Mr.Petit youth involving his passion with tightrope walking in Man on Wire. 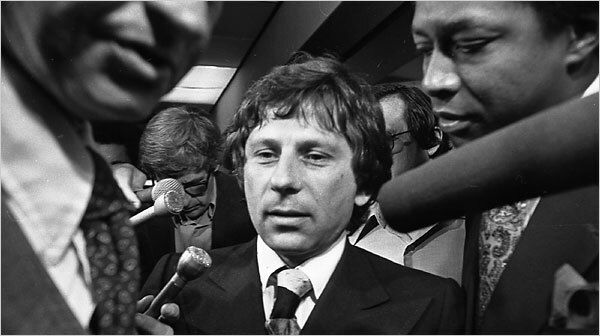 He started out in Paris by walking between the neighboring Cathedral of Notre-Dame dancing along a wire between two of its towers then went on to the Harbor Bridge in Sydney and then finally his 1975 high-wire walk between the World Trade Center in New York. The film is constructed through interviews with Philippe, his girlfriend of the time Annie Allix, his best friend Jean-Louis Blondeau and a few other accomplices as well as personal still photographs from the era documenting their efforts and well crafted re-enactments. It is essentially a heist film by focussing on the legal, technical, physical and psychological aspects of setting up the wire between the twin towers. An understated message of the film is the seductive ability of the criminal and dangerous goal that has everyone flocking towards Phillipe. The 65th Venice Film Festival came to a close September 6th and with a jury chaired by Wim Wenders announced the Golden Lion for Best Film to The Wrestler by Darren Aronofsky. Starring Mickey Rourke the film is a drama of a retired wrestler who decides to return to the ring for a last match. I personally found my summer months not have being to enthused about new films. There might have been a few gems in a sea of rubbish. This summer great new releases included Flight of the Red Balloon, Encounters at the End of the World and the Dark Knight. So instead of going out to see films, I stayed in. I kept myself occupied visiting film history. I just came back from Montreal where they were having their World Film Festival. They had many screenings throughout the city, there was a Tony Curtis tribune and Brian de Palma had a master class on his oeuvre. They closed down part of St.Catherine street and had an immense screen to project films each night. When i was there they were playing Heaven's Gate (Michael Cimino). When i got there i sat beside three other film students. They were great, we talked about films, had a few drinks (they were generous enough to share some mixed drinks they brought in Coke bottles). Hundreds of strangers just sat there, either on the provided benches, stairs or sitting on the ground to enjoy the film. There was a great sense of a cinephile community.